SmartFlow Enterprise is protecting over $30 billion in licensed software products worldwide and is currently integrated in over 900 applications. In addition to the industry’s most sophisticated data enrichment and analytical capabilities; the 2019 release features over 50 innovative new data collection techniques, usage analytics and other enhancements that reflects a deep expertise in developing the latest technologies to detect piracy. 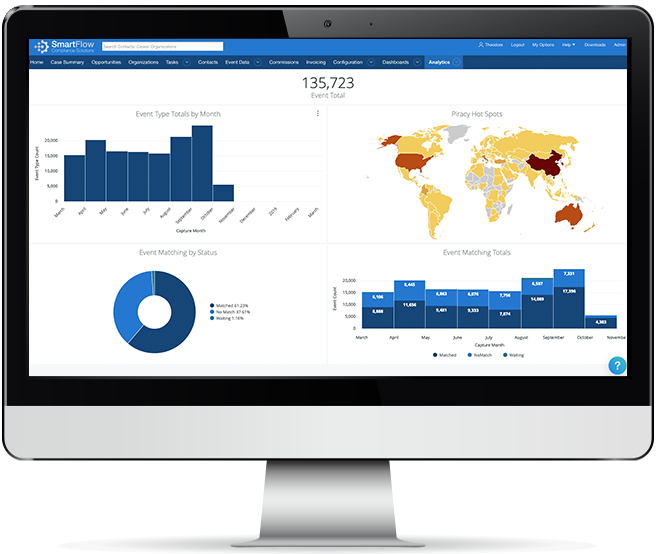 The newest release assists customers to recover revenue, generate leads, and analyze usage, while tracking business and market trends. SmartFlow Analytics provides a fully integrated, cloud-based, best-in-class business intelligence (BI) platform and custom reporting module that helps customers make sense of the patterns that emerge from the usage data available through the SmartFlow case management system. 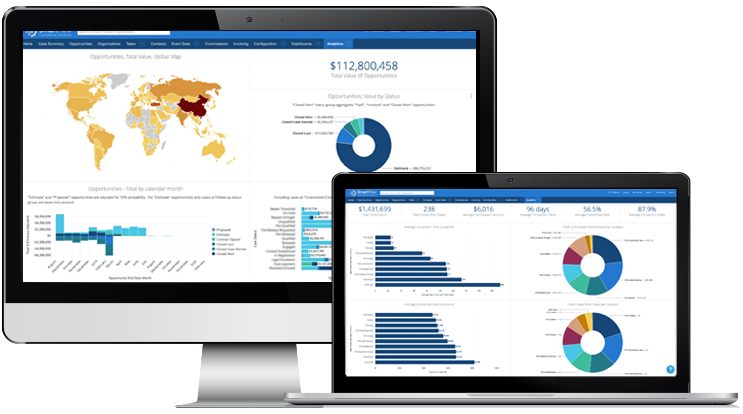 Customizable dashboards offer multiple high-level business perspectives. Standard reports provide views of events, cases, opportunities, and user activity data that provide deep insights, enabling customers to make more informed decisions about addressing non-compliance issues, generating revenue, and staying ahead of the competition. Software usage analytics goes far beyond identifying piracy and under compliance. SmartFlow analytics can help you optimize trial evaluations, discover technical support issues, and re-negotiate enterprise license agreements from a position of strength. Precise telemetry data can be loaded and visualized in the right way to drive revenue growth. SmartFlow is the only purpose-built, open license compliance solution on the market. This architecture allows users to integrate a wide variety of data sources, including the SmartFlow software development kit (SDK), as well as proprietary and third-party sources, to drive their compliance program. Customers’ own software activation data or other data sources can be cross-correlated with usage data from SmartFlow’s SDK, or, for example, Microsoft’s Azure application insights. This unique open approach enables enterprises to maximize the impact of their data for revenue recovery and business decisions. SmartFlow's Case Management system is designed to work with other CRM platforms that are critical to integrating the LC program with Sales and Operations. SmartFlow supports a bi-directional interface to link Cases and Opportunities to Accounts and Opportunities in Salesforce.com. This customizable functionality can also utilize a representational state transfer (REST) application programming interface (API) for downloading event data from the SmartFlow Gateway Server. SmartFlow Enterprise was designed to comply with data privacy legislation, including the European General Data Privacy Regulation (GDPR) and the California Consumer Privacy Act (CCPA) of 2018. A unique configurable data collection functionality in SmartFlow Enterprise helps users ensure they are in compliance with GDPR by enabling them to collect, omit or hash personal data based on the country or state of origin. The SmartFlow gateway servers provide the ability to adjust or change reporting profiles, as future legislation emerges. This architecture insures your on-premise software is prepared for the future as data-privacy issues evolve. SmartFlow Company Insights provides real-time access to SmartFlow’s world-class data enrichment capabilities. License Compliance Analysts can seamlessly gather information from within the Case Management system by simply typing in the company name or domain they are researching. Our proprietary technology will search publicly available information and integrate into the case summary, saving hours of manual effort per case. This feature results in significantly higher productivity, better researched cases and a more effective LC team. 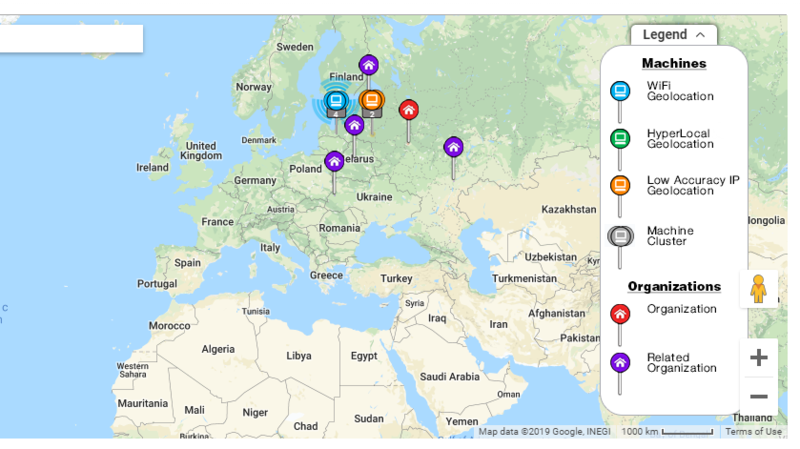 SmartFlow Enterprise includes an interactive map that combines Company locations with IP or Wi-Fi based telemetry data. The geographic perspective is especially valuable with SmartFlow's SDK and Wi-Fi geolocation data. Our Google Maps API provides highly accurate telemetry information to verify event data, especially the location of infringing computers. SmartFlow can also provide hyperlocal IP geolocation with Wi-Fi level accuracy for devices that may not have a Wi-Fi card. The advanced Tamper Detection Kit (TDK) detects binary tampering in the client application. Support for multiple data sources including: SmartFlow SDK, customer own data, 3rd party data. Event Type support for client and server-side mapping enables users to differentiate whether the source of the events is licensed, unlicensed or undetermined. Blacklists enable users to exclude problematic machines from cases based on their IP address, MAC address, or computer domain. Country-specific user authorization provides country-level user case access control. There is a SmartFlow solution for every budget even if your budget is zero.